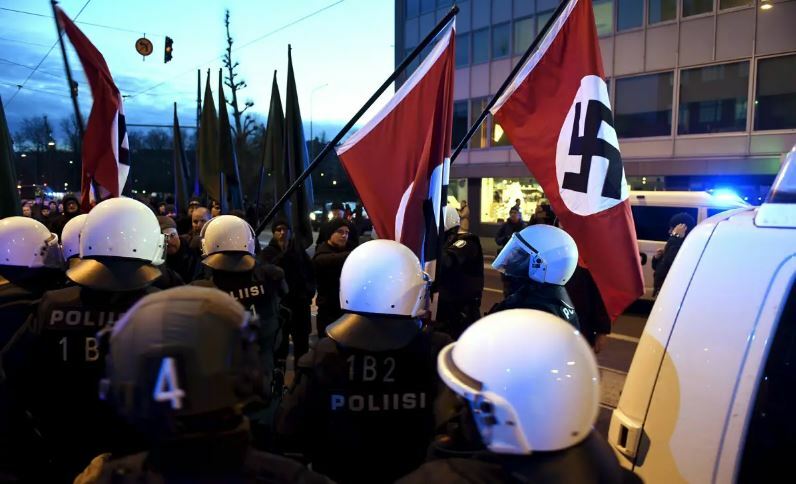 Helsinki Finland: Socialist clans of Nazis and Marxists hold their Independence Day protests……. – The Tundra Tabloids……. 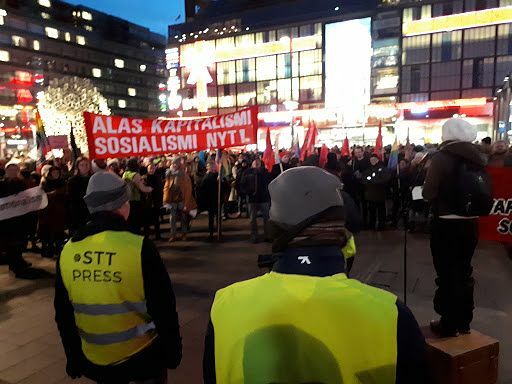 Helsinki Finland: Socialist clans of Nazis and Marxists hold their Independence Day protests……. Both sides are evil, both need to be kept on the fringes of society. There should never be any kind of tolerance of these numbskulls of either side, but ya know what, top Finnish politicians rub elbows with the Marxists with no trouble at all. Just like they do with the reps of the Muslim Brotherhood. We’re so screwed here. As a free speech advocate, while I don’t condone either flag of destructive socialism, I am not for the state to infringe on the citizen’s right to be a complete moron/jackass either. 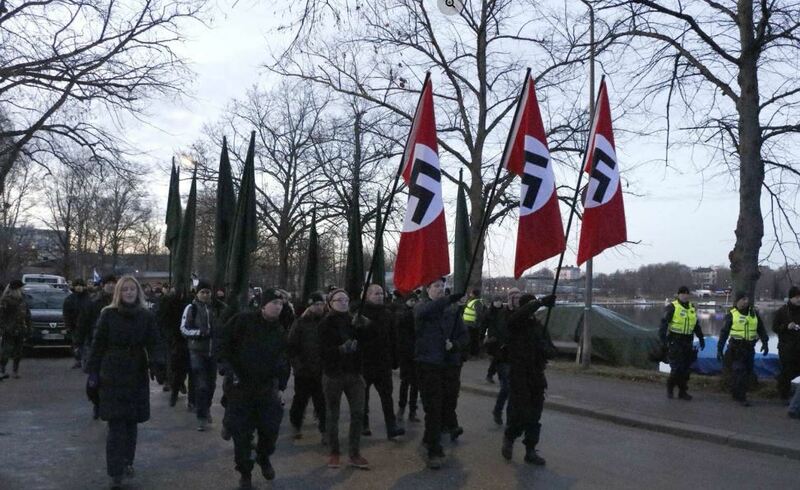 What a totally disgusting display in Helsinki by all sides. NOTE: Yle was covering the rallies. 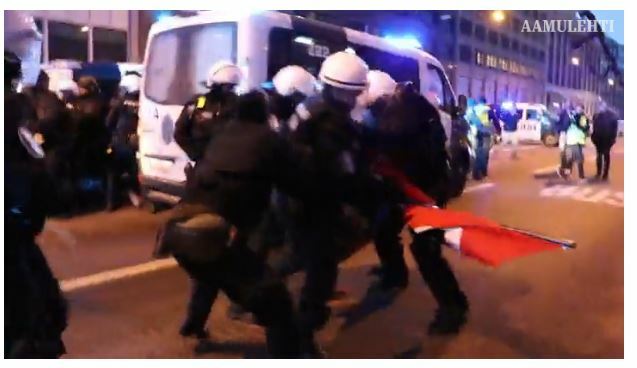 Previous Post Previous Post Dr. Manfred Gerstenfeld: Sweden’s ugly Ultraliberalism and the Jews……. Next Post Next Post Hezbollah terrorist caught on camera learned tunnel digging technique in Mexico with drug cartel thugs…….